Remember back in June, when Stormy and I were both lame, when he got a gravel that finally popped out his coronet band? 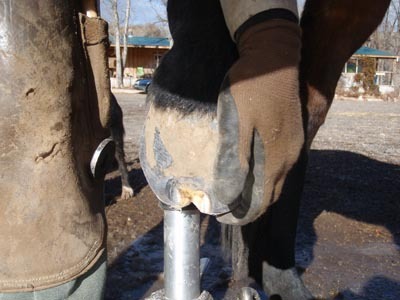 When the shoers came this weekend Linda found a hole in his hind hoof, about an inch from the point of his toe, where the hole in the coronet band had finally worked its way down, 6 1/2 months later. Linda actually dug into that hole to open it up and get all the bacteria out while it finishes growing out. 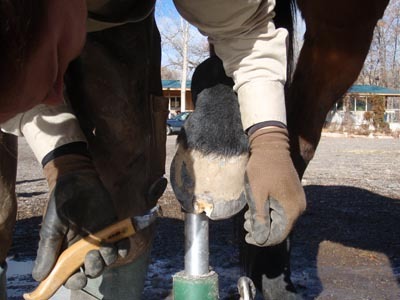 So you can figure it takes a horse about 7 months to grow a whole new hoof. It takes me about 14 months to grow out a toenail. If you notice in that top picture, on my left foot my big toenail is blue. That's because Dudley stepped on it November of 2008 (with my heavy hiking boots on! ), and by the end of this January - 14 months later - it will have finally been completely replaced. Interesting comparison, don't you think? 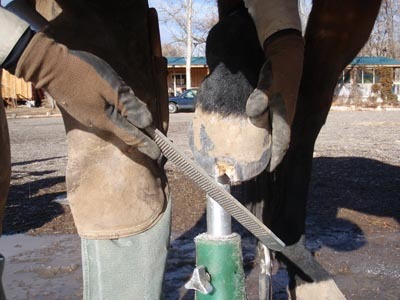 Whole new hoof for a horse, 7 months. Whole new toenail for a human, 14 months. 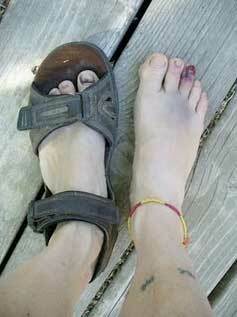 good gosh Merri, what the heck happened to your other toe! 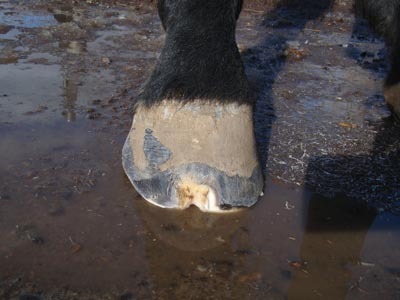 oh, very clever person that I am, I let a horse step on my SANDALED foot and grind it into the ground. I wouldn't recommend this for anybody. there's a link to the sad story in that first line.